My 2013 Mobile All-Hype list includes wearables, Real-time Bidding (RTB), “mobile only” and responsive design. To hear some tell it, responsive design is the end-all, as much of a no-brainer as indoor plumbing. Mobile expert Michael Becker and I explored the pros and cons recently in a webinar for Market Motive. First, here’s a definition. 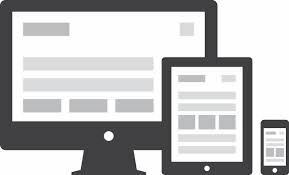 Responsive design is an approach for developing a flexible, fluid and adaptive web experience across digital media properties. These may include personal computer, mobile web and applications (phones, tablets, phablets), email, SmartTVs, and the aforementioned wearables. There are just as many reasons to do it as not. · Remember “a customer/qualified prospect’ is a precious resource. It is not a thing to waste"
The takeaways from all this? December 4, 2013 by Jeff Hasen.